Originally published May 12, 215 – Updated with new photos and better written recipe instructions March 25, 2019. 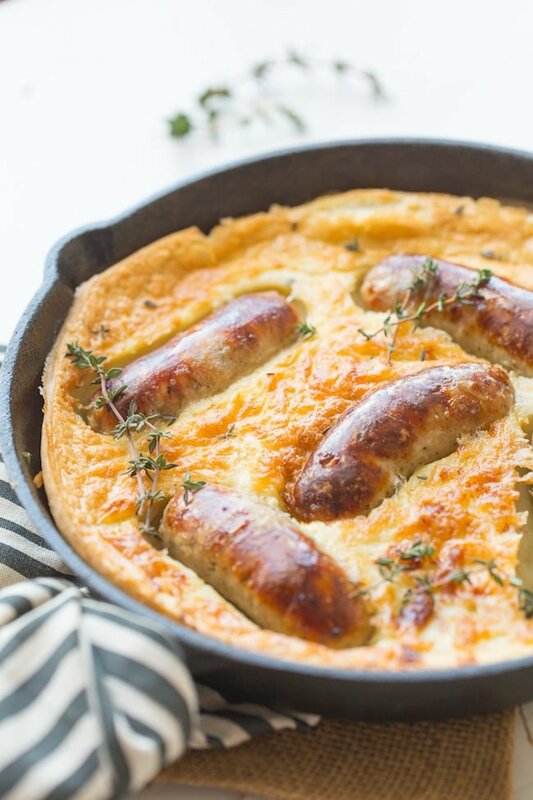 Classic & cozy gluten free toad in the hole – easy to make with only 6 basic kitchen ingredients that you likely already have on hand! Serve with gravy and mash for a truly comforting meal. 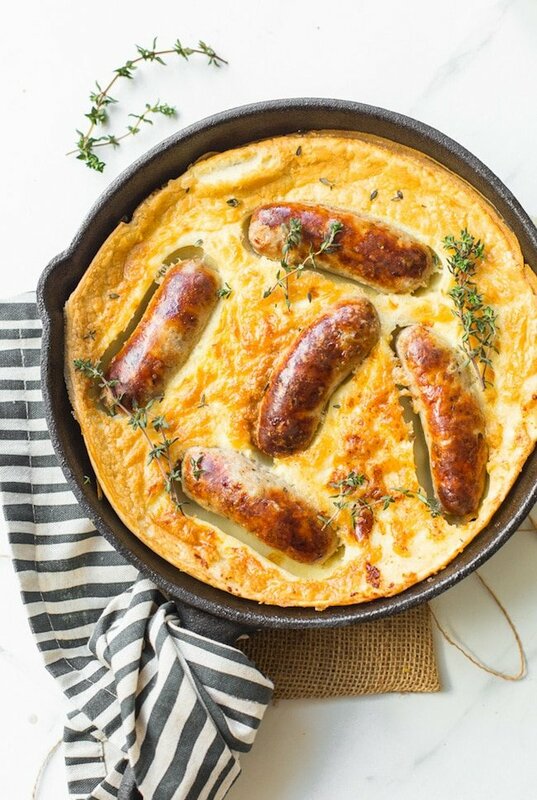 Don’t forget to #asaucykitchen on instagram if you try this Gluten Free Toad in the Hole! We love seeing what you make! You can also post your pictures to my facebook page! Pour the fat into the bottom of a large roasting tin or cast iron skillet and then put your sausages in the tin, rolling them around until they are coated in the fat. Roast them in the oven for 15 minutes. While your sausages are roasted, prepare your batter. In a medium sized mixing bowl, mix together all of your dry ingredients until thoroughly combined. Whisk in your eggs one at a time until no lumps remain - you should have a very thick batter at this point. Stir in the eggs until fully combined and you have a thin batter. When your sausages are done, remove from the oven and pour your batter over the sausages and then return to the oven to bake for an additional 25-28 minutes until the top has turned a golden brown and the batter has risen. Nutrition information is an estimate based on using 2 tablespoons oil and 2% milk. This info is not always accurate. 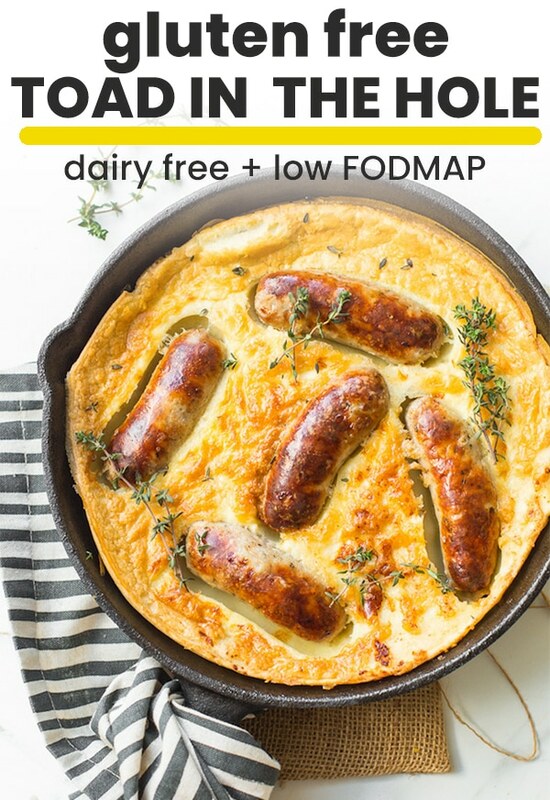 Where do you find low FODMAP sausages? Yum! 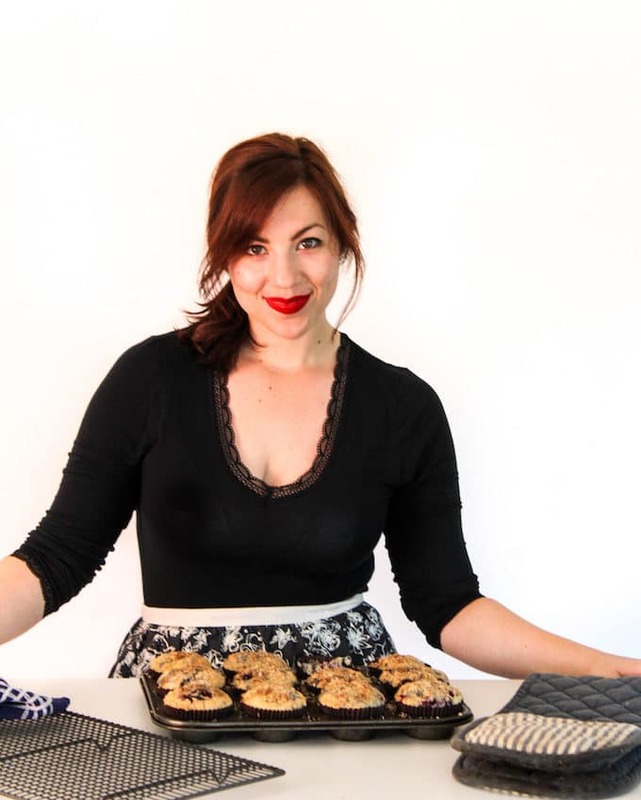 what a great GF recipe!! we loved it. Thanks Anita! Glad you liked it!